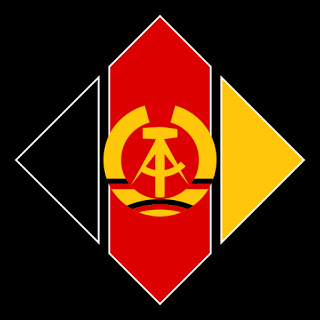 The National People's Army of the German Democratic Republic (GDR) - Nationalen Volksarmee der DDR (NVA der DDR) was the most powerful and professional among all the USSR allies in the Warsaw Pact, if not to consider USSR itself. Though NVA was not so numerous as, for example, the armies of Poland or Czechoslovakia, it had the highest level of combat cooperation with the Group of Soviet Forces in Germany, much more close than the other armies of the Eastern bloc. 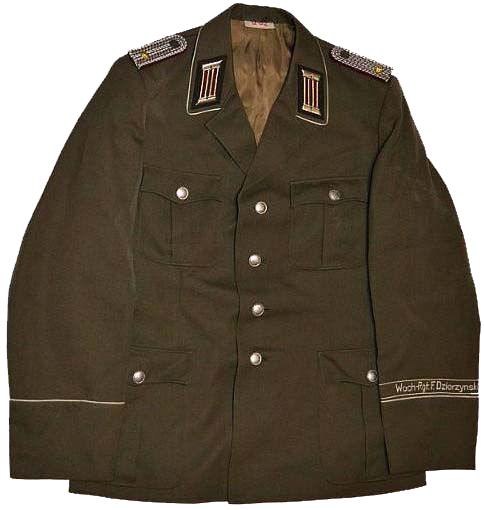 According to a popular belief, the parade uniform of East German army was closer to the uniform tradition of the Third Reich armed forces (Wehrmacht), to a much greater extent than the uniform of West German Bundeswehr. 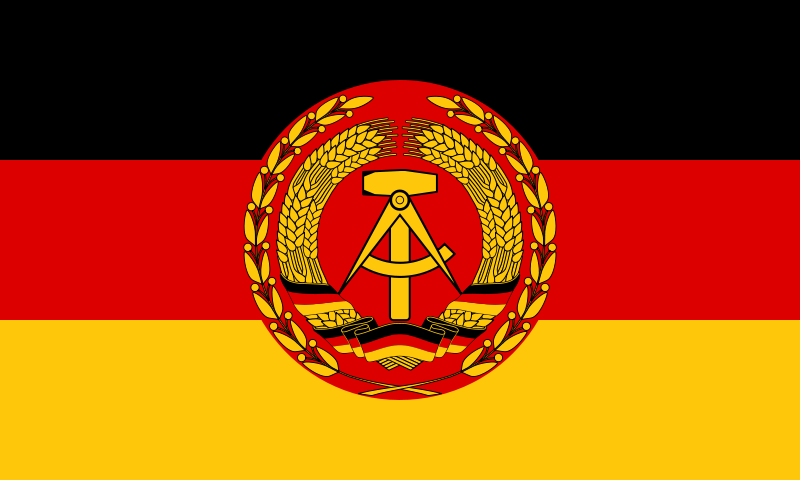 The difference was only in minor details such as uniform fabric material, the appearance of buttons and cut of the collar... Also the state symbols of the Third Reich were replaced by the East German ones. Even the development of the famous East German M-56 model steel helmet began in 1944 for the Wehrmacht soldiers. This type of helmet featured a beveled shape that allowed to reflect shell splinters and bullets quite effectively. 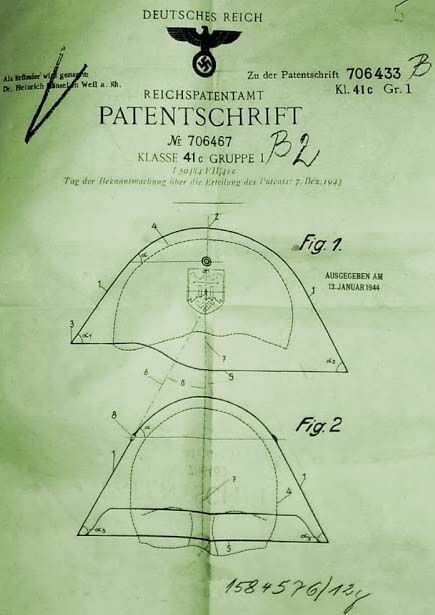 During the late period of the war the nazis simply had no time to finalize and start the production of this model, but the socialist East Germany has managed to finalize this helmet, eliminate the defects (mostly connected with fastening system) and equip the NVA (GDR National People's Army) with these helmets in 1956. 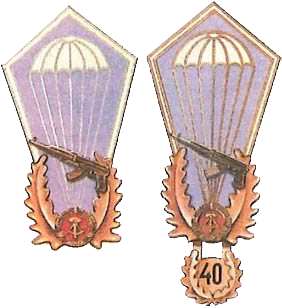 If to say about the professional skills and combat spirit of the East German paratroopers (Fallschirmjägern der NVA DDR), they were virtually the direct successors of the III Reich Luftwaffe paratroopers traditions, and they were deservedly considered one of the strongest and most qualified units throughout the whole Warsaw Pact, possibly surpassing the West German counterparts. Of course, such comparison could have sense only if it is based on actual clashes between the German paratroopers from the West and the East, but, fortunately, it has never happened. 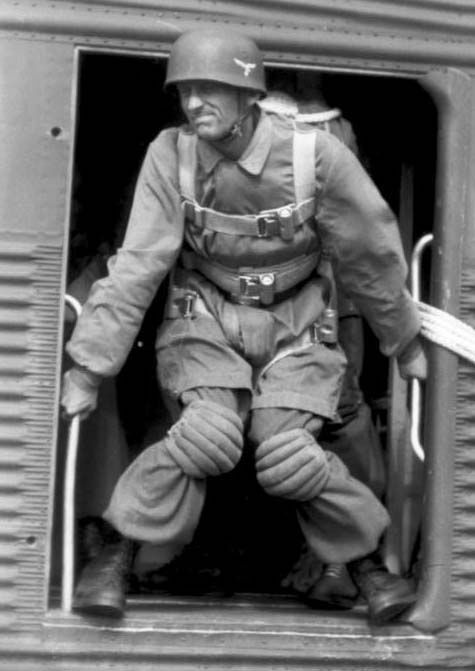 The conclusion about the superiority of the East German paratroopers can be made at least on the ground of the fact that the West German paratroopers unit (Luftlande), established in 1956 and still considered to be the elite, have never participated in any combat operation. 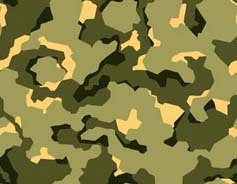 This unit is generally a "unique" one, because it is focused on the defense tasks only. The Bundeswehr command understood this fact clearly, so they tried to overcome the existing strict prohibitions: some Bundeswehr NCO and officers took active part in the Vietnam War in the ranks of the United States Army, but this was done very secretly. These people were "temporarily discharged" from the Bundeswehr, then they fought in the ranks of the U.S. Armed Forces as volunteers, receiving invaluable combat experience, then returned to Federal Republic of Germany, where they were restored on service again with promotion.